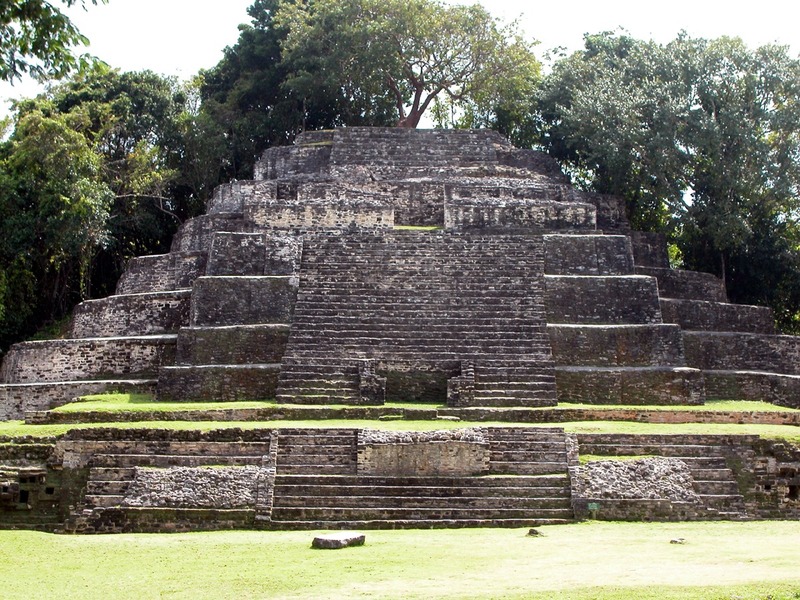 There are many day tours offered from Belize City, but the Lamanai ruins tour wins the Best-of-All-Day-Tours award hands down. Included in the price is a pick up and drop off at any Belize City hotel, and they do get going early. First you are driven about an hour north of the city to the New River. There you transfer into speedy jungle river boats that travel upstream to the ruins, stopping often to view exotic birds and other wildlife along the way. The guides are excellent and easily spot numerous tropical birds while travelling at 20 miles per hour. On one recent tour we saw amazing birds such as purple gallinules, green-backed herons, olivaceous cormorants, northern jacanas and even the 6 foot tall jabiru stork! Upon your arrival, an excellent box lunch is served and then your boat captain and birding guide turns into a Mayan history buff that offers excellent interpretation of the ruins. One note of caution: if you are not on a cruise make sure to get on a tour that does not include cruise ship passengers. They are on a very tight schedule and the tour will suffer as a result. There are many good tour companies that offer the Lamanai tour, and all offer great trips, but avoiding the cruise ship tour schedule is important to give this tour the time it deserves. Sample rates: Book your tour through the tour desk at the Best Western Biltmore Hotel in Belize City for an excellent Lamanai tour. Their rate is $130/person. Call or email the Biltmore and ask for Shermadine to reserve this tour: 011.501.223.2302 or papagallogiftshop@gmail.com. More information about Lamanai Mayan ruins. Looking for a flight to Belize? This page covers all of the options. The Mopan River is a major tributary of the Belize River. 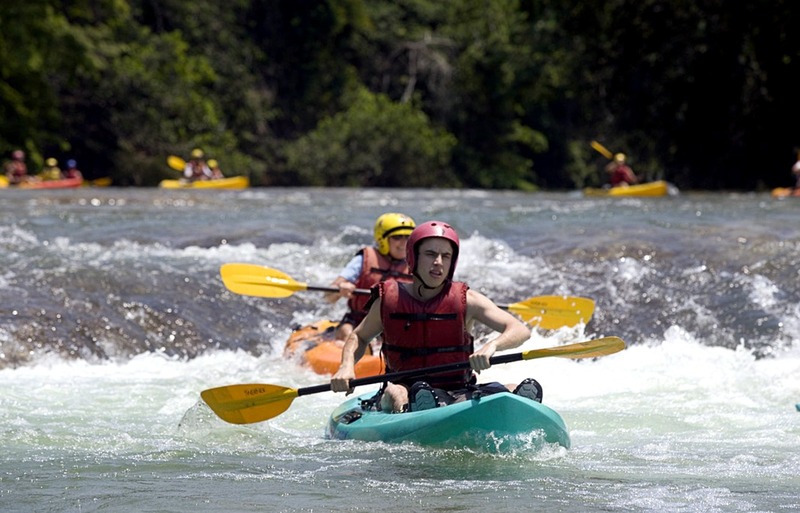 Slickrock Adventures runs the Mopan using modern sit-on-top kayaks designed specifically for whitewater, and full instruction is included. This day tour is usually offered as part of our Belize Adventure Week four or eight night all-inclusive package. However, we do offer this tour as a one-day trip for groups of 8+, maximum 14. Transport to and from Belize City is included, and once we arrive at the put-in we begin the trip with a thorough instructional class in kayak technique. This covers basic strokes, familiarization with balance and recovery methods, reading the river currents, and getting comfortable in moving water. No experience is necessary, but you do need an adventurous spirit. Our run down the Mopan consists of 5 miles of the river as it passes through the end of the gorge into the valley below the mountains. The river’s warm, 70 degree water is a beautiful clear green color and the channel is surrounded by huge trees teeming with parrots and iguanas. The rapids we encounter are an easy level with large pools at the end of each drop. Sample rates: The cost is $195 per person for a minimum of 8 persons, who must book together as a group. 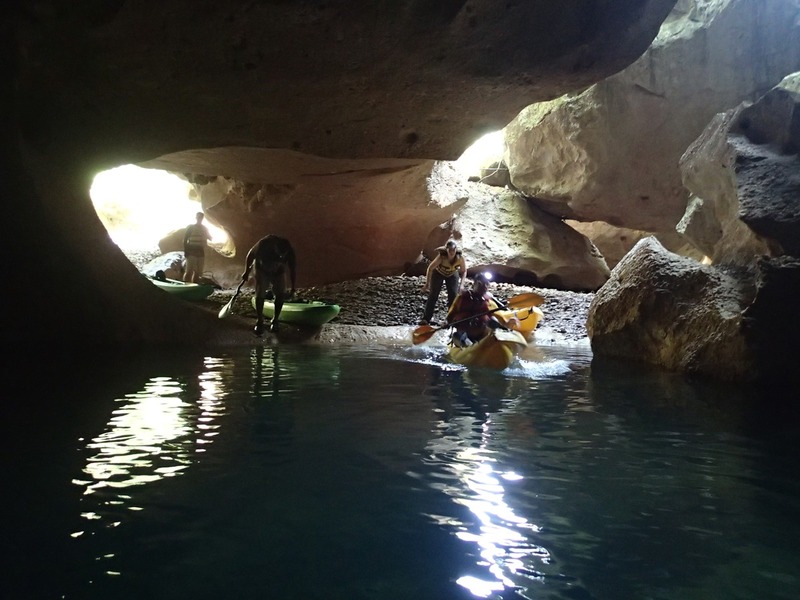 The Caves Branch River is a unique river unlike any other river in the world. 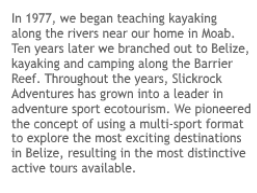 Slickrock Adventures pioneered this run down the Caves Branch in 1991, and we still run this river today using modern sit-on-top kayaks, and full instruction is included. This day tour is usually offered as part of our Belize Adventure Week four or eight night all-inclusive package. However, we do offer this tour as a one-day trip for groups of 8+, maximum 14. Transport to and from Belize City is included, and once we arrive at the put-in we begin the trip with a thorough instructional class in kayak technique. This covers basic strokes, familiarization with balance and recovery methods, reading the river currents, and getting comfortable in moving water. No experience is necessary, but you do need an adventurous spirit. You are running seven miles of caves by headlamp! No visitor to Belize should miss this fabulous one-of-a-kind experience! This truly has to be seen to be believed. Lunch is served on the banks of the river in one of the openings into the jungle.